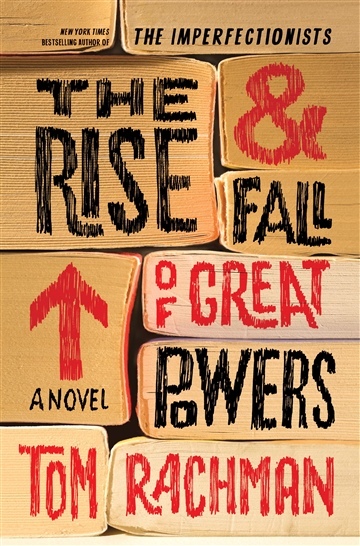 For fans of Jennifer Egan, Dave Eggers, and Donna Tartt—the brilliant, intricately woven new novel by Tom Rachman, author of The Imperfectionists. Following one of the most critically acclaimed fiction debuts in years, New York Times bestselling author Tom Rachman returns with a brilliant, intricately woven novel about a young woman who travels the world to make sense of her puzzling past. Tooly Zylberberg, the American owner of an isolated bookshop in the Welsh countryside, conducts a life full of reading, but with few human beings. Books are safer than people, who might ask awkward questions about her life. She prefers never to mention the strange events of her youth, which mystify and worry her still. Taken from home as a girl, Tooly found herself spirited away by a group of seductive outsiders, implicated in capers from Asia to Europe to the United States. But who were her abductors? Why did they take her? What did they really want? There was Humphrey, the curmudgeonly Russian with a passion for reading; there was the charming but tempestuous Sarah, who sowed chaos in her wake; and there was Venn, the charismatic leader whose worldview transformed Tooly forever. Until, quite suddenly, he disappeared. Years later, Tooly believes she will never understand the true story of her own life. Then startling news arrives from a long-lost boyfriend in New York, raising old mysteries and propelling her on a quest around the world in search of answers. Tom Rachman—an author celebrated for humanity, humor, and wonderful characters—has produced a stunning novel that reveals the tale not just of one woman but of the past quarter-century as well, from the end of the Cold War to the dominance of American empire to the digital revolution of today. Leaping between decades, and from Bangkok to Brooklyn, this is a breathtaking novel about long-buried secrets and how we must choose to make our own place in the world. It will confirm Rachman’s reputation as one of the most exciting young writers we have. Tom Rachman was born in London in 1974 and raised in Vancouver. He attended the University of Toronto and Columbia Journalism School, then worked as a journalist for the Associated Press in New York and Rome and for the International Herald Tribune in Paris. His first novel, The Imperfectionists, was an international bestseller, translated into twenty-five languages. He lives in London.